Often, vegetarians will find that they need to watch what they eat more closely than they did in the past. After all, meat becomes off-limits, and in some types of vegetarianism, so do dairy, eggs, or other animal products. But what if a vegetarian were to also take on a Paleo diet? Or a keto, Whole30, or gluten-free diet? What happens then? This can become a challenge for members of the vegetarian community. The following guide will discuss the challenges of being a vegetarian while on a second intersectional diet, and suggest a few solutions. First, what is the Paleo diet? The Paleo diet, short for Paleolithic, is a diet composed of foods that were eaten by humans during the Paleolithic era. To put things more simply, you “eat as cavemen did.” This includes vegetables, fruits, nuts, meat, fish, seeds, nuts, eggs, and healthy oils. This does not include refined vegetable oils, cereal grains, beans, dairy, potatoes, refined sugar, and processed foods. What makes this diet difficult for some vegetarians is that going Paleo cuts out many vegetarian sources of protein. Thankfully, there are ways to get around this nutritional obstacle if you are willing to make a few changes to the Paleo diet. Beans are not considered to be part of the Paleo diet. The reasoning includes the fact that beans contain phytates, lectins, and protease inhibitors. Phytates prevent minerals in a food from being absorbed, whereas lectins and protease inhibitors can irritate your gut. However, you can counteract two out of three of these reasons. Soaking and sprouting the beans reduces the phytic acid content and cooking the beans well will break down the majority of the lectins. Pressure cooking can remove them completely. While dairy is also on the “no-no list” for Paleo dieters, it may be beneficial to consume some in moderation. While dairy may not react well with everyone – for example, if you have irritable bowel syndrome (IBS), lactose intolerance, or casein sensitivities – it contains protein, healthy fats, and vitamin B12, which is often lacking in vegetarian diets. 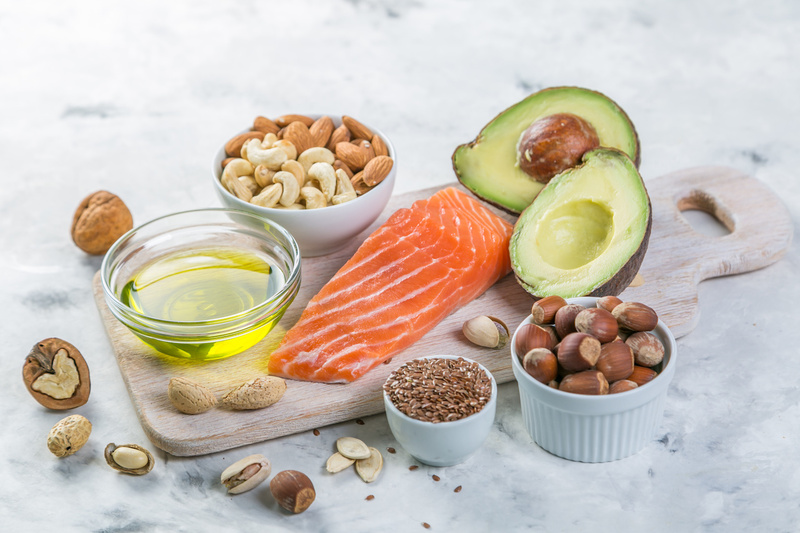 Healthy fat sources like olive oil, avocado oil, coconut oil, macadamia oil, and nuts are both vegetarian and Paleo-friendly. A light amount of olive oil goes a long way in making cooked or raw vegetables more flavorful and satisfying. Keto is short for “ketogenic,” and this diet has been trending rapidly upward. The keto diet is intended to be low-carb and high-fat. The keto diet puts the body in a state of ketosis where fat instead of carbohydrates is released from cells and turned into ketones. However, like with the Paleo diet, a problem that vegetarians may face while on the keto diet is insufficient protein. Therefore, vegetarians who eat eggs and dairy should keep these forms of protein handy. Having hard-boiled eggs handy in the refrigerator could go a long way in boosting protein intake. If this diet plan does not feel suitable for you, listen to your body and adjust or revert. The Whole30 is a 30-day meal plan intended to cut out foods that could negatively impact your health and instead emphasizes whole foods and clean eating. Participants in the Whole30 diet eliminate grains, legumes, sugar, alcohol, dairy, and soy from their diets for the entirety of the 30-day period. It is encouraged to eat meat, fish, vegetables, fruit, and healthy fats. However, for someone who doesn’t eat meat or fish already and gets their protein largely from legumes, soy, and/or dairy this can be challenging. 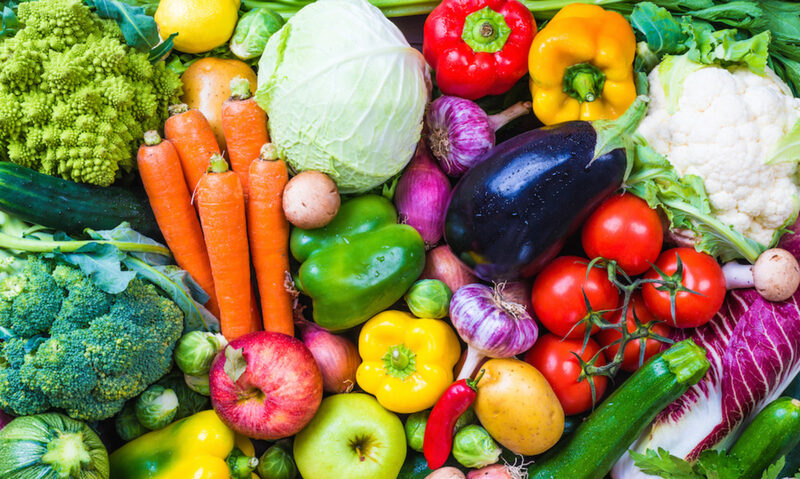 Many vegetarians are doing slightly modified versions of the Whole30 so that they can still participate, while making sure that they obtain sufficient nutrients. 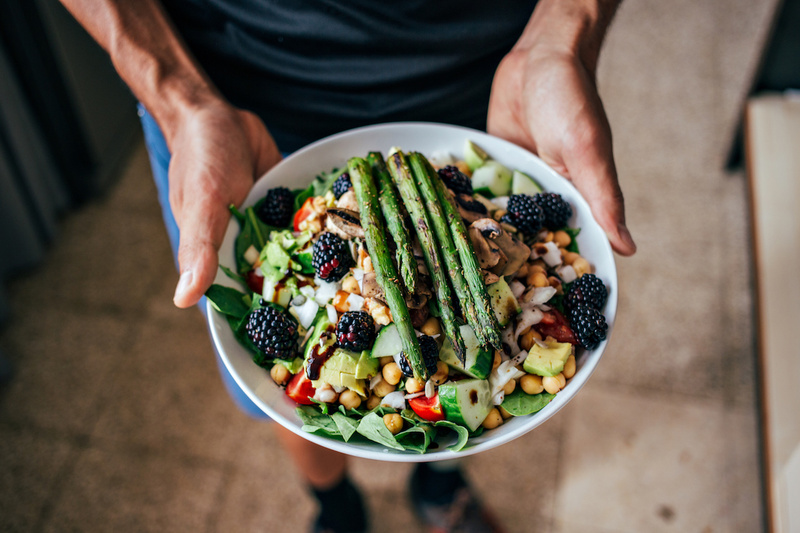 Some people are calling it the “Veg Whole30.” This variation of the diet includes organic yogurt and kefir, tempeh, tofu, edamame, pea protein powder, lentils, beans, hemp, and natto. While this might not be quite the same as the traditional Whole30, it takes into account the nutritional needs of the vegetarian. For example, lunch on the Veg Whole30 might have tofu as a source of protein, squash, and asparagus. Then, later, a snack might be full-fat yogurt with macadamia nuts. A gluten-free diet is a diet that excludes gluten, which is a mixture of the proteins found in grains such as wheat, barley, and rye. There are multiple reasons why a person may decide to go gluten-free. Some people discover that they have a gluten sensitivity or are outright allergic to gluten, which is called celiac disease. Other people choose a gluten-free diet for nutritional, inflammation or other health reasons. Most of what you eat should be in the produce area of wherever you do your grocery shopping. Fruits and vegetables are a solid source of nutrients. While seitan is not gluten-free, there are many other vegetarian, gluten-free sources of protein that are available. These sources include beans, nuts, seeds, soy, quinoa, amaranth, some meat substitutes (although these need to be investigated for gluten beforehand), and some vegetables. Processed and pre-packaged foods can be tricky, so it is important to carefully read the ingredients to make sure that they do not include meat or sources of gluten. Diet intersectionality: challenging, but not impossible. 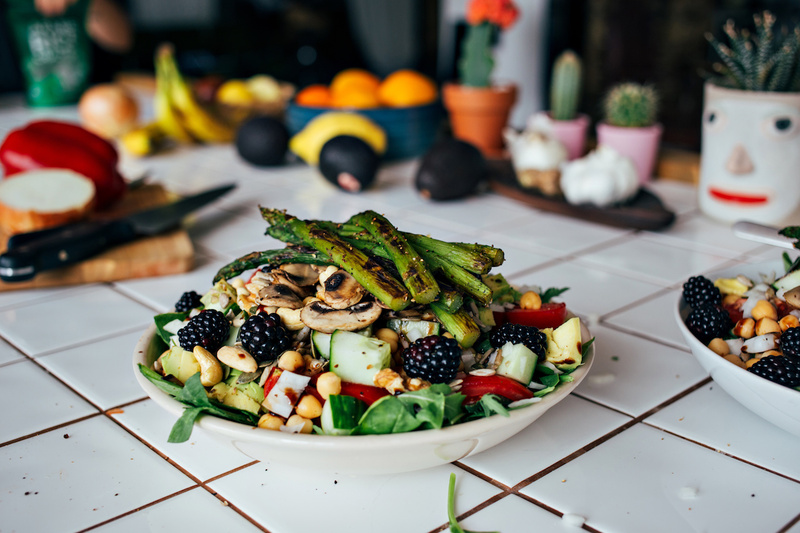 While incorporating a second diet into your meal plan can seem daunting, it is certainly not impossible for many dietary needs. However, it is important to listen to your body and prioritize your nutritional needs, even if that means customizing your diet. Always consult with your physician or nutritionist to ensure you are getting critical vitamins and nutrients your body needs to stay healthy. Are you a vegetarian with a second dietary restriction? Do you have tips for people who are vegetarian while also eating a Paleo, Keto or Whole30 diet? Any favorite recipes you recommend? Share in the comments below!